Wipro has slipped from No. 2 to No. 4 in the past decade. Can new CEO Abidali Neemuchwala restore its past glory? In June 2014, Wipro was competing for a substantial deal from a large banking client in the US. It expected to win because its strengths were well known to the client, with whom it had worked earlier. But just when the deal seemed a shoo-in, Wipro found itself ousted by Tata Consultancy Services (TCS). The man who led the late charge and swung the deal in TCS's favour was a Dallas-based two-decade veteran of the company, Abidali Z. Neemuchwala. Today, the same Neemuchwala heads Wipro, having taken over as CEO in February this year. "Neemuchwala's chutzpah did not go unnoticed by Wipro boss Azim Premji," says an analyst who does not want to be identified. 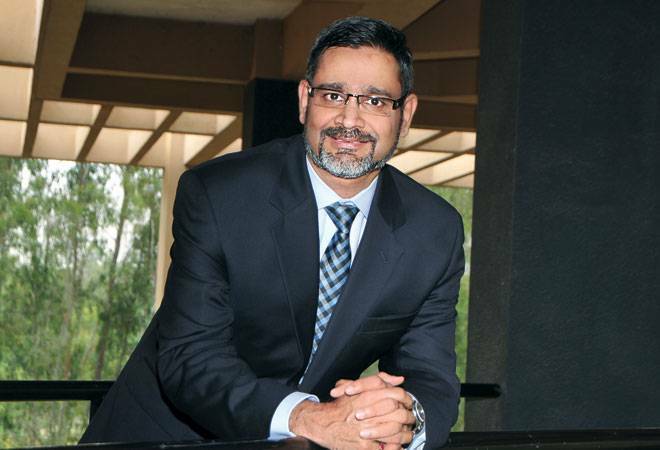 Neemuchwala, who worked his way up the ranks at TCS, was the one who built its business process services (BPS) business. When he quit, he was responsible for nearly an eighth of the company's revenue. "He was known as one of CEO N. Chandrasekaran's 'go-to' men," says Sudhin Apte, CEO of research advisory firm, Offshore Insights. So it was a coup for Wipro when Neemuchwala joined the company as Group President and Chief Operating Officer in March 2015. Almost a year later, he has taken over as CEO. Neemuchwala inherits a company that has been struggling for the past eight years to keep up with its peers. From being the leader in industry growth rates in the early part of the 21st century, it has become a laggard. What ails Wipro, and can Neemuchwala fix its problems? Wipro, like other leading Indian IT companies, flourished in the wake of the opportunity that arrived at the turn of the last century. Indian software engineers earned a global reputation after neutralising the Y2K bug across thousands of networks in the late 1990s, which led to outsourced work pouring in from overseas, creating billions of dollars in wealth and millions of white-collar jobs. From a mere $5 billion in 2000, Indian software exports are now $100 billion annually. "Kurien inherited a firm that had fallen behind its competitors in making the move to industry and domain"
A host of players rushed into the field - there were flameouts and fadeouts, there were mergers and acquisitions, and there was a clutch of unqualified, outstanding successes. Wipro, led by the likes of Ashok Narasimhan, Ashok Soota and Vivek Paul, qualified unreservedly for the last category, along with TCS, Infosys, HCL Technologies and a few others. It has had a succession of CEOs, but if any single person's vision has shaped its destiny, it is undoubtedly that of the man often dubbed its "permanent CEO" - a moniker he actually dislikes: Azim Hasham Premji. It helps that Premji owns close to 75 per cent of the company's shares. In 2002, Wipro was the second-largest company in the country by market capitalisation. Since then it has fallen nine places, with its market cap now a quarter of that of TCS and half of Infosys. Even in 2005, when Vivek Paul moved on, it was regarded as the country's fastest-growing large IT firm - with revenues of $1.33 billion at the end of 2004 - and the one that had created the most wealth in the past five years. In comparison, Cognizant's revenue stood at $587 million. A decade later, Wipro is expected to end 2015 with revenues of around $8 billion, while Cognizant will do more than $12 billion. Wipro built its reputation in three areas: R&D services as well as telecom and networking along with - though this happened later, after a series of acquisitions - energy and utilities. At the same time, it was also known to be relatively weak in banking, financial services and insurance (BFSI) compared to peers like TCS and Infosys. With BFSI constituting about 40 per cent of total global spend on IT outsourcing, this was a major chink in its armour. For a couple of years after Paul's departure, Premji ran the show himself with a loose coalition of satraps reporting to him, each of whom were building individual verticals. In 2008, he had the idea of appointing joint CEOs: Girish Paranjape and Suresh Vaswani were named to take charge. In hindsight, it can be seen as a disastrous move, its consequences worsened by the downturn of 2008/09. Wipro responded to the global crisis with a cost-cutting frenzy, and by going into its shell, and failed to take advantage of the market upturn that followed, especially in the US. Scale and momentum are crucial to IT services, and its excessive caution at this stage, which curtailed growth, cost Wipro dear. (Other competitors were smarter - Infosys, for instance, abandoned its earlier insistence on high margins when it found Cognizant cutting into its business with lower margins.) By the time the joint CEO model was abandoned and T.K. Kurien given charge of the company, Cognizant had overtaken Wipro in revenue. Kurien inherited an organisational mess with powerful satraps running their own fiefdoms. He struggled to bring about change, but with only partial success. A former Wipro veteran ascribes his mixed record to both internal problems and bad luck. "There were a series of departures as Kurien tried to establish control," he says. "Some of the seniors would also go over Kurien's head and interact directly with Chairman Premji. Premji tried to discourage it, but these seniors saw themselves as Kurien's peers and were loathe to report to him." There was also the generational change brewing. "This was also the time when Premji began stepping back and his son Rishad started getting to know the leaders of the company," he adds. The bad luck was the persistence of the global downturn. Wipro's R&D outsourcing business was impacted. The telecom action shifted from the West to Asia, where cost structures were different. Energy and utilities, another key strength of the company, was affected by the ups and downs in oil prices - going well over $100 a barrel in 2008 and again in 2011 and falling precipitously to below $30 a barrel at present. 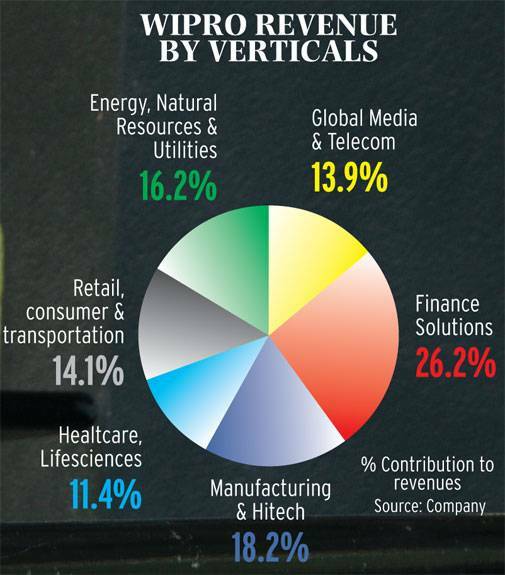 While Wipro earns 16 per cent of its revenues from this vertical, its peers are less exposed - TCS's exposure, for example, is only 5 per cent of revenues. "Global outsourcing contracts in this sector have not grown at all since 2013, remaining stuck at around $13 billion," says Dinesh Goel, India Head of research and consulting firm ISG. Wipro acknowledges the adverse impact of the global changes in the telecom and energy and utilities markets. Though unwilling to meet BT despite repeated requests to do so, it responded in writing: "There have been unexpected external factors which have had a significant bearing on us. For example, we took a bet on energy and utilities but the sharp fall in oil prices was totally unexpected. Again, we have traditionally been strong in telecom but the industry has been struggling. We are looking at diversifying our portfolio so that we are in a better position to absorb shocks. We will now look at developing a more balanced portfolio." Analysts are sympathetic to Kurien's efforts. "Kurien inherited a firm that had fallen behind its competitors in making the move to industry and domain," says Peter Bendor Samuel, founder-CEO of research and forecast firm Everest Group. "Although he made the necessary investments and organisational changes, Wipro had already lost the first mover advantage and struggled to catch up. Kurien has done the right things, but has suffered because of his late start. The changes also required him to improve the quality of his team's skills, which has taken time, and also faced some execution and moral issues." Apte of Offshore Insights believes Wipro has an image problem. "It continues to be perceived as an old-style IT services company," he says. "Clients still recall Wipro's yesteryear image - a firm with superior technology and productivity capability. TK did try to make the firm more verticalised and business-focused. But I think he either could not transform it fully or failed to convince clients that it had changed. For many clients, there is a gap between what they want and what they think Wipro has to offer." The problem of perception is acute because the market has undergone a structural shift in recent years with automation affecting traditionally outsourced services such as application development and maintenance, as well as testing. New opportunities have arisen in big data and analytics, cloud, mobile and social media, as well as artificial intelligence - to all of which Wipro has been slow to adapt. It has tried though, for instance, with its artificial intelligence platform HOLMES. "HOLMES is Wipro's cognitive solution and when applied both internally and to customers, it can bring about significant productivity gains as well as provide strategic client partnerships," says Ray Wang, CEO of consulting firm Constellation Research. But it may have been a case of too little, too late. Wipro contests the charges of delay and insufficient commitment. "Over the past five years, we have been working on transforming Wipro from a traditional IT and BPO company into a next-generation technology and consulting firm, with defining differentiators in the market place," says its written response. "We believe Wipro is well positioned to capture an increasing share of the market owing to its diverse industry domain capabilities, service offerings, and the extremely talented team. We have built a stronger customer-facing organisation, increased our presence and wins in large deals, developed effective capability enhancement programmes for employees and been at the forefront of technology change. We believe that we have built a solid foundation and are now well positioned to seize emerging opportunities." 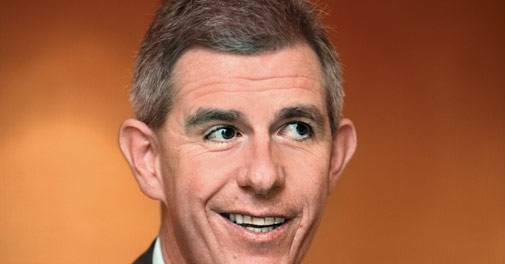 "The new Wipro chief needs to focus on three things: innovation, execution and improved marketing"
It also maintains that HOLMES has been a success. "Wipro HOLMES has already gained significant traction amongst our customers," the written response adds. "It is being applied across multiple IT and business processes and is being offered across our key customer accounts. For example, we are using this to automate the Know-Your-Customer process in the financial services sector where HOLMES, as a learning system, uses multiple sources of information, both structured and unstructured, and drives significant reduction in effort and cycle time while simultaneously improving accuracy and scalability. Building IP and platforms is a key focus area for us." Neemuchwala has a publicly confessed fondness for chess. He will have to use the kind of strategic thinking winning at chess requires to bring back Wipro's earlier growth rates. "He needs to focus on three things: innovation, execution and improved marketing," says Goel of ISG India. "Those apart, he needs to increase the revenue share of strategic accounts, to monetise platforms like HOLMES, bring sharper focus on specific verticals, communicate a clear, differentiated strategy for the business and motivate employees better." But there is another big question that many are loathe to discuss: how well will Neemuchwala get along with Rishad Premji? Rishad joined Wipro in 2007 and is currently Chief Strategy Officer and a member of the board. 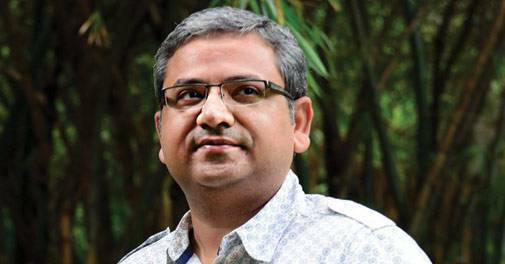 "He already drives mergers and acquisitions and meets large clients," adds the former Wipro employee. "He will eventually build his own team. Some changes have already been made in finance and HR. Rishad knows Wipro needs to change but to bring about change in such a large organisation, Neemuchwala will need his full support." Goel of ISG India notes that Rishad also runs the company's start-up fund. "Given the change we are witnessing in the industry, he will have an important role to play," he says. Already, in the single year that Neemuchwala has been with the company, Wipro has made a series of acquisitions at a cost of around $760 million. The new companies will add about $371.5 million in revenue annually, which is significantly higher than the $200-million-plus that Wipro is likely to gain through organic growth. It has around $3,700 million in cash reserves and can afford acquisitions, but a wrong move could hurt it badly. There is a precedent - the US-based data service provider Infocrossing, which Wipro acquired in 2007 for $600 million, but which failed to add much value. "Acquisitions may be critical to Wipro's growth plans, but ultimately its own business has to grow," says Apte of Offshore Insights. "You cannot perpetually keep buying growth." Wipro will definitely have to take bolder bets on innovation. As IT services undergoes tectonic shifts, Neemuchwala will need to seamlessly execute, while at the same time earning the trust and confidence of his team and his clients to checkmate competition and win the game for Wipro.